She looks so good in these colors! I usually do journal entries based on whatever is on my heart at the time, whether it's her overall health updates or our social security fiasco or just random thoughts about her. About three weeks ago I began to have a stirring about writing about friendship and how it relates to our current journey. But time escaped me and day after day, I tried to sit down to write but things kept getting in the way...someone needing something, baby care, school, and just plain exhaustion at night. I must be "in the place" mentally to write and with distractions of any kind or just being tired, I'm not able to get it out. So, here I sit, three weeks after I have essentially written what has been placed on my heart, ready to put it out there. I stand in awe at the lessons I'm being forced to learn on our walk right now. I'd like to say run just because I want to get through it quickly, wave a magic wand and have everything fixed and made okay. However, I know that if that were to somehow magically take place, I--and I earnestly pray others--would not "get" what we are supposed to "get." So, considering that little tidbit, I will accept the lessons, messages and perspectives as they present themselves. And laying aside all of my own deep desires, the truth of the matter is that God created Everly EXACTLY as she was meant to be. She is perfect in every way. I would like to share now a lesson on friendship and what that really means. When you first receive a life altering medical diagnosis or are in a serious crisis, for the most part, friends tend to come running. All hands are on deck. All the friends you thought you had are actually there. There are some, however, who just aren't capable as much, maybe, as they'd like to be able to handle personal difficulties, even when those challenges are not their own. And they bail before the crisis really even begins. You don't hear from them, there's no messages of hope, there's no wishes of good will. So, there's two camps of friends out of the gate of a crisis: one is all in and the other is all out. It's pretty simple to identify them. Please don't get me wrong here. It's not a criticism because I know of three specific times in my adult life that I was in the "all out" camp. Let me explain why I was and why maybe some others fall into that category, too. Knowing something truly horrible or scary is happening or will happen makes people uneasy. It's our human nature to want everything to work out. Isn't that how all fairy tales end? "Happily every after"
But, guess what, things--life--doesn't always work out the way we pictured it. And for some people it is easier to just pretend the crisis isn't happening, to ignore the people involved or to simply give a small nod about it but then not involve themselves further. Some crises are so unique and daunting that people can't put themselves in your shoes, so they don't feel they are equipped to be of any help at all. Look, your situation may be scary and scary isn't fun. Yup. I did that. Not proud to say it but I did it. I did not know what to say to the friends in the medical crises. In each situation, I felt ill-prepared, at a loss for words, and honestly, scared, both for them and for myself. You see, I knew I should do something but didn't know what I should do. So, I just did nothing and said nothing really. My heart was involved, I thought of these individuals, prayed for them and truly wanted to reach out. But I didn't know how. And by the time I thought I had figured out how, I was then worried that I had let too much time lapse and was now embarrassed. So, again, I did nothing. But there's another phenomena that happens when friends go through life altering crises. When the immediate crisis is somewhat over and things are settling in with whatever the diagnosis is, there's another camp of well-meaning friends that might think all is well and not reach out as much at this point or just in scant handfuls ever so periodically. Messages are few and far between. Attempts to get together go unrealized or left alone. Offers of help are no longer voiced. Through no fault really of their own, they might not realize that your storm still rages but at this point you've just put on your rain gear and you are making your way. You have to. There's a camp of friends that have been given a gift from God. It is the only way to describe it because, look, it is not easy AT ALL to BE a friend to someone in an ongoing crisis. See, it's relatively easy to be a friend when a crisis happens and then ends quickly, a car accident or the loss of a job. But what about one that has no ending, one that lingers? See this is where the rubber meets the road. At this point, the friend-weeding process is well underway. You should be left with those who by all definitions are friends in every sense of the word. And, look, let's be honest...there are some situations SO unique and frightening even that you don't know what to do. But guess what? The person living it probably doesn't know what to do either. They just want to know that you are there for them. They want to know they haven't been forgotten. They just want to know you still care. I found this quote on my favorite while-pumping-have-to-do-something-go-to-Pinterest. "True friendship isn't about being there when it's convenient, it's about being there when it's not." I want my daughter's life to make me a better mom. A better wife. A better teacher. A better friend. I want to make her proud. I want her to know that I'm using everything I'm learning while being her mommy to do better, be better and maybe even to help others. I have learned SO much about this friendship thing since our story began. I have been disappointed. I have been shocked. I have been pleasantly surprised. I have been thrilled. Oh, yeah, the little girl is rockin' the pink ruffles! I will be completely candid with you. When I realized why I had cowered away from my friends' situations, I reached out to them. Pride can be ugly and I didn't want to be ugly. Sometimes humbling yourself is necessary. I apologized for not being there for them when they really did need me. I explained why but wanted them to know I didn't think it was an excuse. They were both so gracious as to accept my apology. Let me also tell you that both of those amazing friends are in the camp of friends who have stayed the distance with us...and that was before I reached out to them! You see, you can't go through life altering medical crises or terrible personal situations and come out the same person. I believe those special friends learned the same lessons I did and vowed to be a better friend to others in times of need. And if you were doing your math, you would know that I have one more call to make. I'll be taking care of that pronto. That same dear friend who came back a second time for more photos and nailed the one dream one I had!! So...all this to say, it actually isn't as hard as I thought to "be there" for someone in need. And most things that are free but just cost your time. Time=Love My hope and prayer is that Everly teaches us among other things...how to be a better person to others. Feel free to use any ideas from my list to bless another friend in need. If they are your friend, they are worth it! The best thing you can do for a friend in need is anything! I love you all and am so immeasurably blessed by so many. Everly's new therapy incline good to improve her head control! Played so hard that she feel asleep. Sweet girl!! 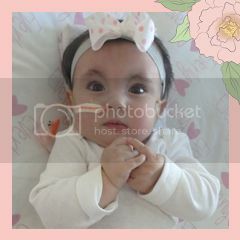 Photo of Everly at 2 months taken by a dear friend of mine. This is perfect. As hard is it is to believe, I just found out that not everyone is on Facebook! I know...shocking, right? LOL I like to post frequent pictures and updates there, albeit short and sweet. So, for anyone not on following Everly on Facebook, I'll share with you the highlights from the last two weeks. Mommy and Everly made a rare trip to Barnes and Nobles, well, actually it was her only trip thus far. But, never you mind, because it was a fun night visiting with mommy's homeschool friends and even met some new ones. We drank some ice coffee, chatted and even "Aunty" Sarah got to hold Everly while mommy pumped. It was rejuvenating and refreshing to sit and discuss school and the new year, co-op classes and high school testing. I just love this time of year! Once a teacher, always a teacher and there's something so exciting about the start of a new year. I'm excited just thinking about hitting the shelves for some school supplies! Come on, fess up...am I the only person who loves the smell and look of a new box of Crayola crayons?? So the fun continued to the next night as our homeschool group had a family evening at the beach like we did in June. I love those nights and so does my family! It's a wonderful time for us to safely visit and connect with those we love so dearly. We are so blessed to be a part of a community that cherishes family and spending time together like we do. It does so much good for the soul. After those two days, I was ready to hit the next week running! Feeding: Well, I continue to give sweet pea baby food but rather than the bites I was somewhat really expecting from her, they are actually more like licks. I tried to put a bite in her mouth the first time and that wasn't the best plan. So, we are just encouraging her to be okay with things near or in her mouth at this point. I think I even saw out of the corner of my eye my mom sneak a bit of whipped cream into Everly's mouth, too! It's okay, though, because we were celebrating my parents' 42nd wedding anniversary so that definitely called for a treat and a bit of rule breaking!! Back to the feeding, our therapist just wants us to encourage Everly to be comfortable with spoons, textures, and such so she doesn't create an oral aversion. So far, so good with that! She does stick out her tongue but doesn't quite have the reflex to close her mouth and attempt to swallow what she has on her tongue yet. She only gets the taste when she naturally and eventually closes it. We're still working on it! Slow and steady wins the race, right? I am, however, reintroducing the pacifier. She seems to want to do something with her mouth a lot now and so I thought that might help her. While she does gag and choke if I put it actually in her mouth, she likes to just play with it with her tongue right at her lips. She really gets into it and goes to town which is really cute to watch. For now until she gets more accustomed to the feeling, we'll stick with that. But that's progress and we'll take it! Physical: We are so excited because I was able to find the Tumble Form chair that our therapists use on a medical supply exchange board! She loves it and it comes in so handy! Believe it or note, there are actually times when she does NOT want to be held--insert gasp and whimper here--much to my shock and chagrin! Most of the time she's on her back or being cradled or even facing my chest in the Moby wrap, so I guess I have to understand the excitement that she gets from sitting straight up looking at the world. She doesn't like it, though, for longer than about 10-15 minutes but I'm happy that we have it for her. At first I couldn't understand how it was any different than a bouncer but now that we have it and have used it, I do see that is really a therapy-style chair perfect for babies/children with low tone. Doctors: Thankfully, we have been light on doctor's appointments this month. We don't see the pediatrician until next month when she turns 6 MONTHS OLD!!! Can you believe it? More on that later. Our GI appointment in a nutshell had the most changes that we've ever had. Basically, she needs more calories but we can't increase her volume too much. So we'll be increasing the fortification with extra calories from formula which we have been doing all along but now will be adding a bit more, increasing her volume of breast milk per feed and also adding some water at the end of each feed for increased hydration. Her reflux medication has been increased and since we've done that, we've only had a couple small reflux episodes! That's really amazing! It is comforting to see her not struggle with choking or the difficult episodes as a result. Cardio went fine, no change. I honestly need to do a complete entry just on this issue alone but it's such a hard one that I haven't yet been able to bring myself to do it. One day I will, promise. Our family is gearing up for the new school year to begin in our home. Trying to make LOTS of plans now so that it will go as smoothly as it can possibly go considering our circumstances. Garren, our 10th grader, will be doing a couple online classes and several co-op classes in two different co-ops in addition to my work with him at home. I never outsource Language Arts/English/Literature so that is all mine, mine, mine! :-) It's my happy place! Kendan, our 3rd grader, will be also doing some co-op classes with our friends and the rest at home with me. Thank you, dad, for being so willing to take them to their co-op so they don't miss out! We'll be making a rare trip to the store soon to pick up school supplies. Have I mentioned how much I love a new box Crayola crayons?? Really, there's nothing like the sharpened, unused tip of a new crayon. Then finding the new spiral notebooks each year...whatever is popular or inspirational...and the coordinating folders...the fun erasers and pencils...ah, the joy! Oh, and I love pencil boxes! Have always had a slight obsession with them! I actually have one that is so old, I mean, like from when I was a child, that the family knows is somewhat of a no-touch item. I do still use it and yes, I do take my pencil box with me (before now, let's say) when I go to meetings or co-op and such. Okay, I see that I have gotten completely distracted by my love of August and all things school. But, seriously, this is the BEST time of year! I'm sorry I won't be starting it off with my students that I tutor but sending them hugs and well wishes from here! Okay, back to Everly which is, I know, the reason you are reading this...if you still are! She's busting out of her newborn clothes finally at 5 months old and is moving into 0-3 months. So, lots of "new" clothes from the closet will be making appearances soon! She's now 9 pounds and 12 ounces as of yesterday's check. She is 156 days old today and is still cute as a button! She's doing lots of "stuff" with her mouth and really exploring the inner workings of her tongue and how to move it. She's started talking to us this month which has been fantastic! I'll include that video in the next post shortly as only one video per entry is allowed. She's also started smiling at us! It never gets old. I'll include that video with this post. There's so many other things, stories and bits about her I'd love to share but I know this would be pages and pages long if I did that. Just suffice it to say that she is amazing and continues to surprise all who know her! Her story is not over yet! Don't forget that she is having a big 6 month birthday bash next month! We'd love for all who can make it to join us! There will be fun, games, snacks and cake for all. The actual invite is on Facebook for RSVP purposes so if you're not on there but would like to join us, please let me know so we can be prepared. Much appreciated! I am posting a picture of the beautiful invite done by Lauren Haddix Designs but it will be too small to read the details. So here's the info: Aug. 23 from 3-5 p.m. at the Westchase Swim & Tennis Center, theme is Princess and the Pea and younger guests are invited to dress in prince, princess or brave knight attire if they would like. We are asking that if anyone or anyone in their house has or is ill that they refrain from attending so we can keep Everly healthy. Thank you! My favorite photo of sweet Melanie Rachel. Isn't she gorgeous!! An angel indeed. Earlier I mentioned that the last two weeks have mostly been good. Well, on July 15, my dear friend Dana's daughter Melanie Rachel went home to be with Jesus. We were all saddened by this great loss but comforted in the knowledge that she is with her Heavenly Father. Her Celebration of Life was last night and was, in one word, perfect. Her father, Michael, conducted alongside his father, the celebration and told Melanie's story from the beginning. With rawness and authenticity, he shared this tremendously emotional journey with all who came to honor her short life. Thank you Marquart family for allowing us to walk beside you! Melanie Rachel was so very loved by all! We continue to be in awe of God's goodness. All the time. True, we won't know here on earth why He allows things to happen and not other things. True, He could save us from this pain but sometimes allows us to experience it. But one thing is for sure and that is that God does not promise us we won't have storms, but he does promise us that he will go through it with us. Without these big storms, would we feel the intense need to cling to Him? To cry out to Him? To go on bended knee to Him? It's easy to forget His providence when things are smooth but it's when we must come to Him that we get to know Him, really know Him best. Without faith in His good, devastating monster storms will devastate you. Go to Him. He's got this. Continued prayers for Everly's good health is appreciated. Thank you!! Some days are hard. Those days look the same as above with one glaring exception: a reminder that Everly isn't looked at like "other" children. No, I don't mean by friends or family. I am referring to the medical community as a whole. But I'm also referring to some who've been assigned to Everly specifically. Today was one of the hard ones. See, I have sheltered you all (forgive my misuse of "you" here) from the true facts for a while now. I've previously made small mention of the fact that the "medical community" believe that babies with Trisomy 18 are essentially "incompatible with life." 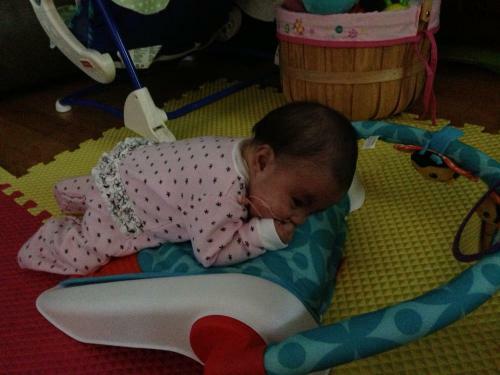 However, what I have not told you is that sweet baby Everly has become a victim of this archaic thought process as well. I want to use this post to give you a look inside. Since the day we were told of her diagnosis, she lost her identity as Everly Marie Hopkins, daughter of Jimmy and Crystal Hopkins, to some. She is first a diagnosis and essentially only a diagnosis. Trisomy 18. 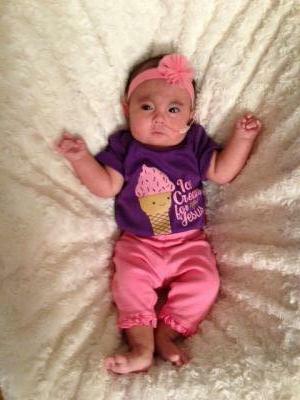 A diagnosis that we are constantly reminded will result in her early death. It's as if they think we may have forgotten the statistics that have been drilled into us. Seriously? 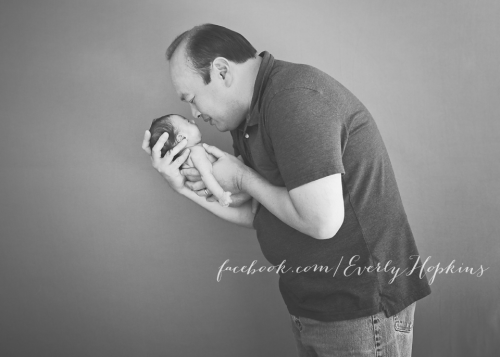 While the journey itself with Everly's health is difficult, having to worry about the care she is receiving is not something I had accounted for at all. This adds a level of complexity, stress and anxiety that, frankly, should not even exist for my family or any other. See, I haven't posted about this part of our journey because it's painful and scary. Yes, certainly worrying about her health is scary as well but to not have faith in those who are entrusted to care for your child is downright terrifying. It's a gut-wrenching kind of terrifying. Not having a medical background and answers myself, I must rely on the doctors for guidance and instruction. And these decisions can mean life or death in our case. Sydney this one's for you! 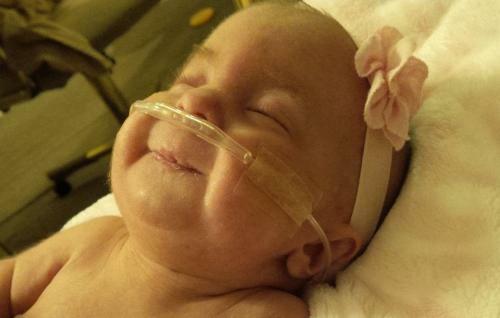 It was made abundantly clear to us even from the NICU by some that her fate was sealed. The implication being that interventions and surgery are absolutely out of the question. At the beginning, we likewise felt that we would not want to do anything invasive for her. However, she is not going by the "Doctor's Guidebook on Trisomy 18" as it were. She continues to grow and to thrive, neither of which we were given any hope would happen. We've since decided to follow her lead and offer her all the medical care we can. She's in charge. All are created equal, no matter the diagnosis. All are important, no matter the statistics. All deserve to be cared for and given a chance. Only God knows our last day and only God knows His plan for us. Only God. But guess what? She does not "qualify" for surgical interventions or repairs that may help. Why? And I promise that I'm not making this up...because of her prognosis. Okay, so let me see...we are all going to die one day, too, so then using that same rationale, would mean that no surgical interventions should be offered to any of us either then? I get that our babies (yes, in our small Trisomy community, all the babies are "ours" collectively) would be present a challenge for the surgical and anesthesiologist teams. I get that some doctors and hospitals do not want to take the "risk" for statistical reasons. I get that some see it as a futile thing to do. But lest I mention that if the baby was theirs, they most certainly would want the options to exist. Thanks to the Burkes family for my awesome onesie! Ice cream for Jesus!! See, we don't have many options currently for Everly. We have been told flat out...are you ready for this...that we would be "lucky if any surgeon in the country would touch her" implying that the risk, again, was too great. For who? The baby or the doctor? We know there are risks involved. There is for ANY surgery. Some surgeries for her would not make sense to put her through while others are palliative ones that would offer extended life as we understand it. Unfortunately, this mentality also spreads to other specialists and in other areas not necessarily related to surgery. Some of which I personally have not experienced but know of families who have experienced it. Some families who receive a prenatal diagnosis are encouraged to terminate the pregnancy when they find out. Others are advised that comfort care is the only logical course of action after birth if they decided to carry to term. Still others are given no hope, no positives, no even light that some time with their baby is even possible. Why can't the doctors see what babies with Trisomy 18 CAN do instead of all they supposedly can't do? I was lead to believe that Everly wouldn't most certainly be here at this point 4 1/2 months into her life. I was lead to believe that she would not be able to move, to interact, to be a viable part of our family. Wow! 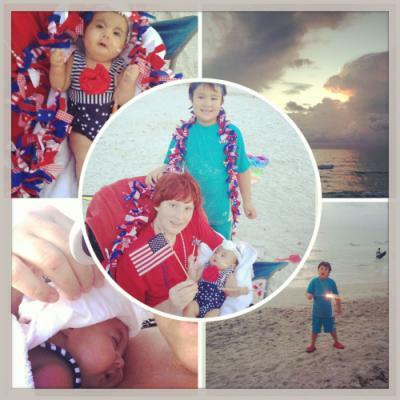 If they could just spend a day in our life with Everly, what they would learn! Or any of our friends with T18 for that matter! Their mindset would be forever changed! Many doctors work in groups, so collectively the practice will make a determination as to what interventions and repairs will be offered or not to babies with this diagnosis. The problem with that is all the gray area. Not everything is black and white. Not everything fits in a box. So what then? Well, left to those in charge of my daughter's care, they are treating her symptoms that appear but not offering any kind of fix. No, I'm aware that they aren't able to take away the chromosomal abnormality. But Trisomy 18 itself will not cause a baby's early passing. All the other ailments, like apnea or heart defects, will likely be the culprit. Logically then if we can correct, repair or treat these other issues, then realistically a baby's life will be greatly improved and lengthened. Isn't that what the doctors would insist on for their own children? I would not believe for a second that any of them would just throw their hands up and say, "Well, she has *** and will die one day, so let's just allow her to ride it out." Never, that's just silly and preposterous. I believe that these physicians have been given a special gifting by our Great Physician. I know that when used wisely their skills and talents can make a world of difference. I pray that through Everly and her friends the doctors' eyes will be open to the possibilities for these sweet beings created by our God. I pray for their courage to stand up and go against the grain in supporting the lives of these miracles. One of the reasons that I continue to post here (well, really it's my therapy and to record our journey) is to help others to see the inside of our lives. Yes, I mainly try to post the upbeat and positive because, truth be told, it's better to focus on that in general. However, to be authentic, I must be honest. And from the beginning, I have chosen to be brutally honest with the exception of this one aspect. But, I know that I'm doing Everly and all special blessings like her a disservice by not sharing the truth. A crucial point that I must make here, though, is that not all doctors and support personnel fall into the category I have described. Everly has a few who I know look at her just like she is a typical baby and for that I am so grateful. Look, I'm still thinking about Italy from time to time but know that I'm now living in Holland. So, to have my dear sweet baby treated and cared for as any baby would be warms my heart. Our family will forever be thankful to those who have honestly opened their heart to Everly and who genuinely care for her. What a special doctor or provider it is that can take their book knowledge but apply their heart knowledge at that the same time! But, yes, we have had (notice the deliberate use of past tense here) and do have doctors and providers who do see her as a diagnosis. We know this for, oh, so many reasons and at some point we may share. But for now, suffice it to say, that we know who's on "Team Everly" and who is not. Period. We are working diligently and rapidly to ensure that all who care, truly care, for her are on her team. We want to love these doctors and, in turn, want them to love our daughter and offer her what anyone else would be offered. So, here I sit at my computer, pondering the next step. Decisions need to be made pronto about a few intensely critical issues and our faith and trust in our local doctors has been crushed. So where do we turn? It's not as easy as just choosing a new doctor. 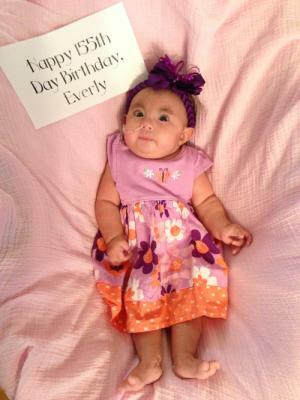 For one, not all doctors feel comfortable seeing patients with Everly's condition. And for another many do have the aforementioned mentality that we seek to avoid. So, we are in a quandary. My point in writing this is to enlighten, to inform and to educate. My friend, Dana, believes as do I that her sweet Melanie is doing a work in the hereof the doctors and nurses that interact with her. See Melanie is still in the hospital from a procedure she had so long ago. While we don't know God's plan, we do know that God is working through Melanie. 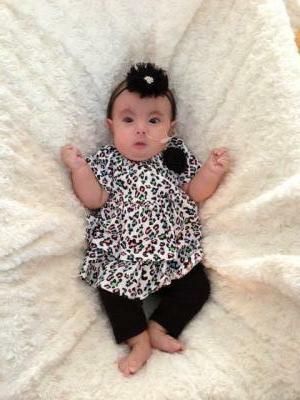 She is a hero and is paving the path for other babies with Trisomy 18. 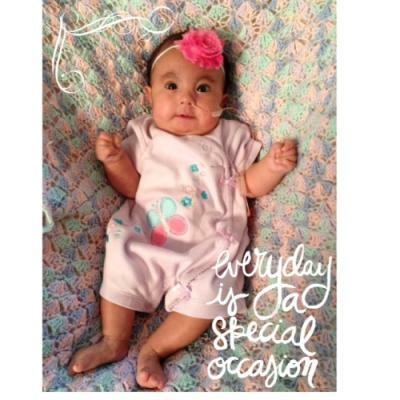 She will give hope to other parents who get this diagnosis because those doctors will see firsthand the possibilities and not the improbabilities. 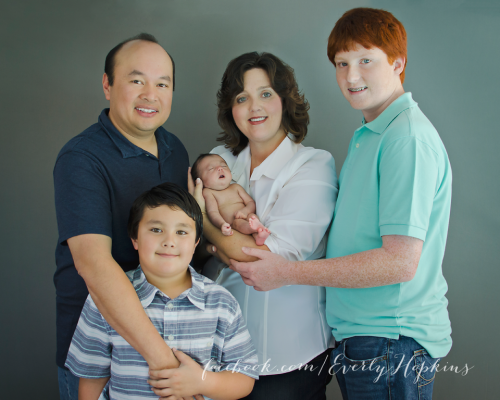 My prayer is that through Everly and our family, too, that our interactions will impress upon their heart and soul an overwhelming sense of duty. A duty to care for God's children. A duty to share hope and not despair. 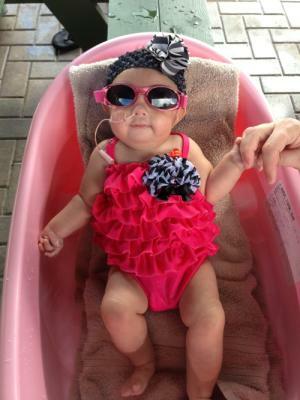 I implore to share Everly's story, either through her website or through her Facebook page. Let's let the world see what a special blessing she and her friends are to their families and to others. We have to do our part to educate and inform so that the path is made easier for other babies and families. 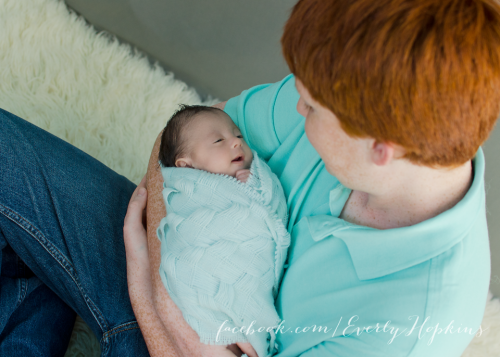 I would be remiss if I closed without giving an update on baby Everly, especially for those who are unable to follow the quick updates I post on Facebook several times each week. She is 140 days old today and weighs in at 9 lbs and 5 oz! She is truly enjoying trying out licks of homemade baby food. So far, she's tried carrots, sweet potatoes and applesauce. She's not quite anywhere near taking a true bite or swallowing anything chunky, but licks are a great start! She likes it and it's fun for us to watch! It also helps to prevent any oral aversions. By the way, in case you were wondering, we were not ever successful in getting her to take the bottle or the pacifiers again. But, on the upside, she is doing well with trying these new tastes. She gags super easy so the spoon can only touch the tip of her tongue, just enough to meet. Hopefully the more practice, the more comfortable she'll be. No more seizure activity which is a blessing. 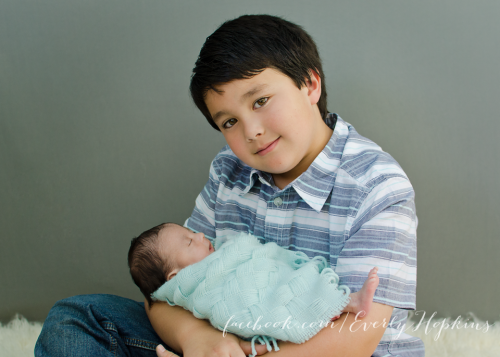 We did have a period of 4 days with zero reflux and what a relief that was then. Unfortunately, it was short lived and it's back again. We have an appointment with the GI doctor next week but I think it is what it is. We've already switched meds and have already discussed this so I don't anticipate any changes.